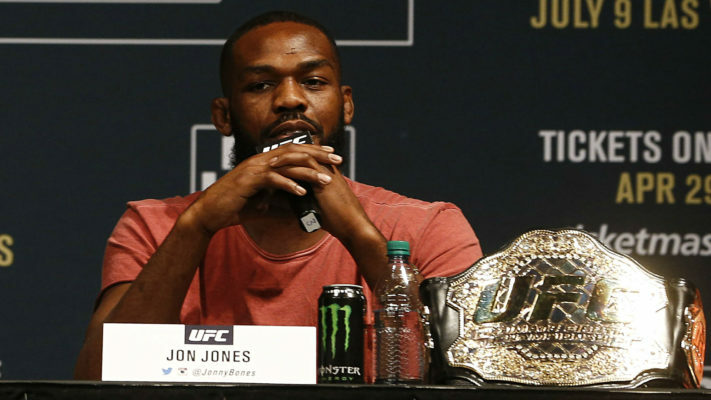 Jon Jones has offered an apology to a reporter and it has been accepted. Jones turned in a stellar performance against Alexander Gustafsson in the main event of UFC 232. “Bones” was able to stay out of Gustafsson’s range and was quicker to his strikes. Once Jones got Gustafsson to the ground in the third round, he teed off for the knockout victory. I appreciated @jonbones apology tonight. Chose to be the bigger man. Congrats champ. Jones was still a bit fired up after UFC 232 and Anthony Smith was caught in the crossfire. While Smith kept things civil, Jones said that “Lionheart” should prove he’s ready for a title opportunity rather than use the FOX platform to ask for one. Jones later apologized for that too. Do you think the Jon Jones scrutiny will ever ease up? ← Mayweather: Nasukawa Can Dish it Out – But Can He Take It? UFC 234, The Morning After: What did we learn about Israel Adesanya?